A 753 sq ft, two-bedroom unit at Auralis is on the market for $1.25 million ($1,660 psf). Auralis is a 56-unit, five-storey condominium on East Coast Road, just off Lorong N Telok Kurau in prime District 15. The freehold project was developed by Sino Tac Holding and completed in 2013. The fully furnished, third-floor unit is an investment property of a Singaporean couple, who purchased it in 2011 for $1.04 million ($1,379 psf). The unit has been tenanted ever since. It is now on the market because the couple is looking to upsize to a larger unit in a private condo in the same neighbourhood. Over the past four years, the unit has been rented out for between $2,650 and $3,200 a month, says Roger Khera, marketing director at PropNex realty, who is handling the sale. Based on the current monthly market rental rate of $2,700 and the asking price, the new buyer of the two-bedroom unit at Auralis will achieve a gross rental yield of 2.6%. The unit on the market faces the pool, and as it does not front the main road, it is not affected by noise, says Khera. In fact, the surroundings are relatively quiet, he adds. The owners gave the well-maintained unit, which features a 3.2m floor-to-ceiling height, a fresh coat of white paint just last week, notes Khera. 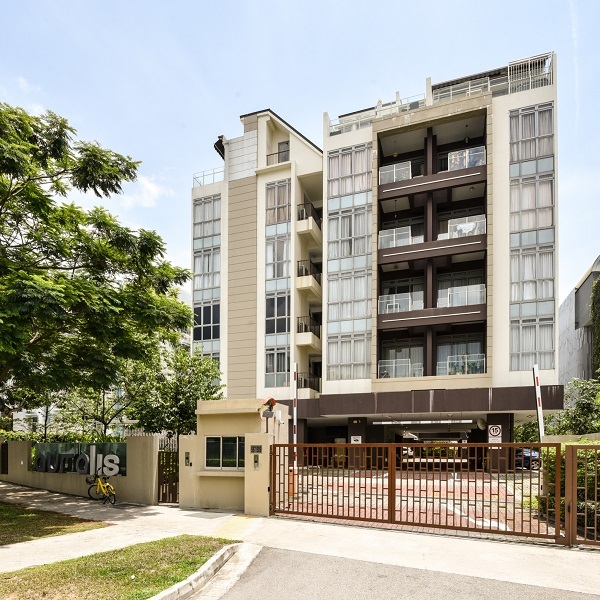 Such two-bedroom units are popular with young families, as Auralis is near prestigious schools such as Tao Nan Primary School, Ngee Ann Primary School and CHIJ Katong. St Patrick’s School is just a short walk away. Auralis is also within walking distance of the upcoming Marine Terrace MRT station on the Thomson-East Coast Line, which is scheduled for completion in 2023. The latest transactions at Auralis involved 463 sq ft, one-bedroom units: A fourth-floor unit changed hands for $728,000 ($1,573 psf), according to a caveat lodged in March, and a third-floor unit was sold for $724,000 ($1,564 psf) last December.